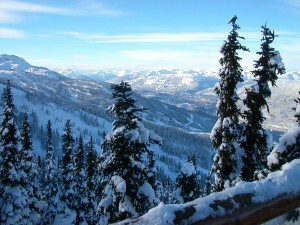 March is often the best time to escape for a ski trip. The weather is perfect, snow conditions on the mountain are calling your name, and you’re all packed and ready to go! Many of us forget how hard the elements of a dry, cold climate can be on our skin. That’s why it’s so important to prevent problems before they arise. Dry skin, cracked lips, and sunburns make for an unpleasant trip, no matter how much fun you have up on the slopes. Read below for some great tips on how to prevent negative reactions to the harsh conditions. Especially if you’re coming from a warm climate, one of the easiest things to forget is how dry your skin will get in the cold, dry climate. To prevent your skin from getting dry, tight and blotchy, follow a gentle, moisturizing routine. Use a gentle cleanser with no drying agents and follow with a moisturizing cream. Look for ingredients like what you’ll find in IMAGE’s Vital C line. Vitamin E and healing antioxidants protect against harsh environmental conditions leaving your skin nourished and healthy. Don’t forget your lips! They need moisture just as much as the rest of your skin. Try our new Ormedic Balancing Lip Enhancement Complex. Not only will it keep your lips plump and moisturized, it has anti-aging properties to keep your lips looking young years to come. Although you’re not lounging on the beach in your swimsuit, it’s just as easy if not easier to get sunburned up on the mountain. Believe it or not, the suns rays can be much stronger at higher altitudes, resulting in sunburned, wind chapped skin. This is why it is so important to wear a high quality, high SPF sunscreen like IMAGE’s Prevention+. For the ultimate protection on the slopes, try Prevention+ Daily Ultimate Protection Moisturizer SPF 50. It doubles as a moisturizer while providing the protection your skin needs. It’s all about the ski gear! That’s right, you’re all bundled up, but do you have all the gear necessary to help protect from the sun’s harmful rays? We suggest investing in a pair of UV-blocking goggles to protect your eyes from sun damage. You’ll also want to wear a face mask to cover as much skin as possible. Not only will this protect your skin from the sun, but also from windburn and cold temps. There you have it, Ski Trip Skincare Tips in 3 easy steps! Moisturize, Protect, Cover Up… Protect your skin by preventing damage before you hit the slopes, and your skin will be thanking you on the ride home! IMAGE and Miss USA — The Fun Has Just Begun! I live in Florida.We went ski in January. Very cold weather -5*F…Thanks to Image skin care line,specially Vital C serum, Prevention+ and lip enhancement are skin and lips survive without any problems. Love this skin care line.